The legalization of medical and recreational marijuana in various states has caught the attention of the Wellness and Spa industry and has raised awareness about the benefits of Cannabinoids (aka CBD). Pura Vida Body & Mind Spa, Inc. is always looking for new and improved ways to keep our guests happy, healthy, and well which is why we are thrilled to introduce this amazing new treatment option! 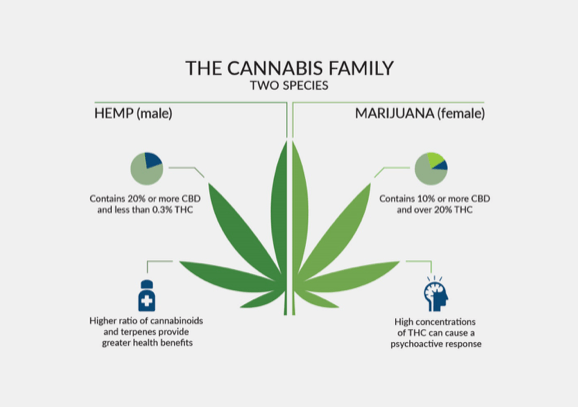 It’s important to understand the difference between CBD and THC. Let’s break down the terminology. Cannabis refers generally to the marijuana plant and CBD or Cannabinoids are compounds from the plant. CBD should not be confused with another compound called THC or Tetrahydrocannabinol which is known to get people “high” or alter their state of mind. CBD, on the other hand, does not have a psychoactive effect. "CBD is nonintoxicating and displays a broad range of medicinal applications, including anti-anxiety, and analgesic (pain-relief) properties" says Dr. Blake Pearson, founder of Green Medical Consulting and practicing medical doctor in Ontario, Canada, specializing in cannabinoid medicine. Originating in Central Asia, this plant has been involved in mankind’s medicine since the beginning of time. More than 540 phytochemicals come from hemp, and their properties can help people with pain, inflammation, sleep, and mood disorders. This multi-purpose crop is harvested specifically to the desired use. Achy joints and muscles can prevent you from doing the things you enjoy and affect your quality of life. HempFX™ Soothe™ when used during massage delivers soothing relief to achy muscles and joints by enhancing a healthy immune response and combating free radical damage. HempFX Soothe combines the power of hemp-derived cannabinoid oil with skin nourishing botanicals and antioxidant-rich nutrients to suppress the sense of pain, support the recovery process and help ease discomfort. 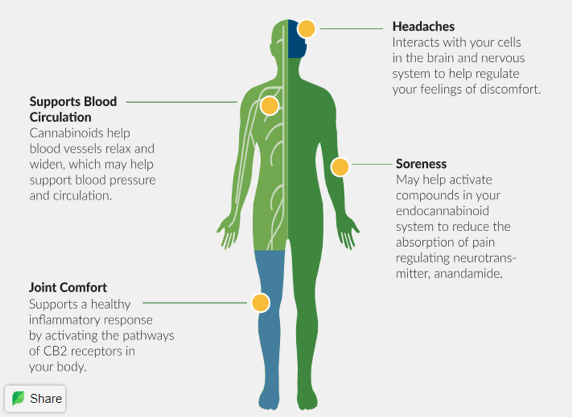 What to Expect from Your CBD Massage Session? Your massage therapist will blend HempFX with a Young Living™ essential carrier oil, to produce a smoothing blend for the skin and muscles and can be incorporated into any style of massage you choose. You may also want to add hot stones as an enhancement to your massage which increases circulation and relaxes sore muscles. Because the CBD oil we have chosen for your massage has 0% THC, you won’t get “high.” This also means that, should you have to undergo drug testing, no THC will be detected. Even though there are no psychotropic effects, some people have described their experience as, "I almost felt I was floating and melting into the massage table at the same time." For a truly relaxing and therapeutic massage experience, ask your therapist about adding CBD to your session.